I can't seem to find in Skin Studio where the roll up setting is - I am trying to disable it (remove it) from a theme as I do not like the roll up button. 1) Edit titlebars and WindowsFrames. 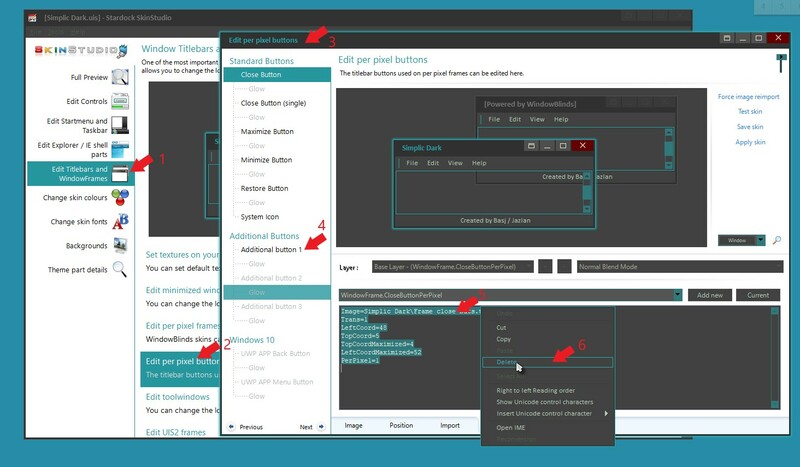 3) Windows Perpixet buttons opens. 4) Additional button1. But it can be anywhere under "Additional Buttons"
5) Select code editor tabs. Select all the code in that box. 6) Right click and select delete. Save and apply theme. That should do it.